Eating out in Dubai can be an overwhelming experience. The choices are endless when it comes to sampling its culinary delights. 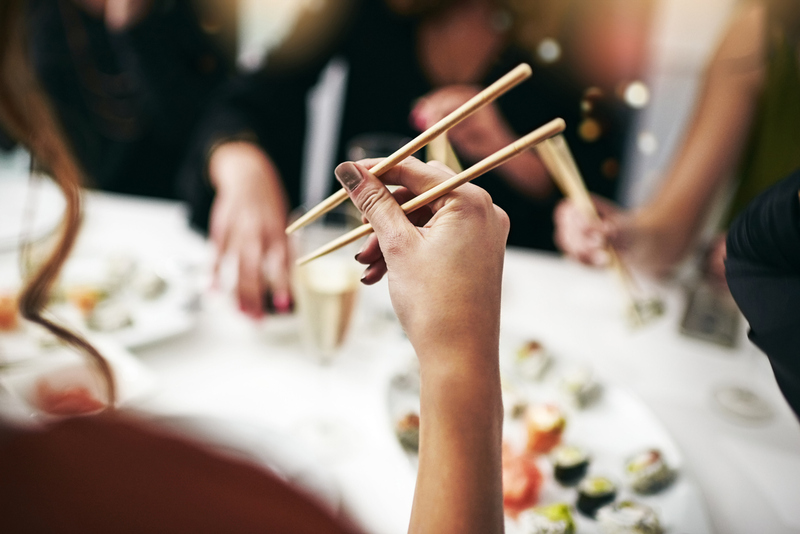 With everything from Indian and Pakistani cuisine, to Italian and Thai, let us guide you on the best places to eat for every budget so you can save time thinking and spend more time eating! This is a local gem in the neighbourhood of Satwa. It’s the kind of place that doesn’t look tempting from the outside, but worth a try for its incredible Pakistani and Indian street food. It’s cheap, friendly and a perfect example of the non glitzy side of Dubai’s dining scene that can be enjoyed by everyone. Try the Chicken Mughlai – a creamy and fragrant curry topped with egg or the spicy Mutton Handi. They don’t serve alcohol here, which is something you’ll find at establishments in Dubai. Most taxi drivers know where this spot is, so you’ll have no issues getting there. Coffee lover? Skip the usual chains and head to Tom & Serg. You’ll find some of the freshest coffee and nutritious brunch dishes at this cool, industrial hub in Al Quoz. They do things a certain way, so expect your drinks served at set temperatures and the choice of regular or almond milk. Founded by Australian duo Tom Arnel and Sergio Lopez, the popular eatery has amassed fans locally and internationally bringing a new kind of coffee culture to Dubai. If you enjoy fresh seafood when you are on holiday, then Bu Qtair will score several points with you. Expect incredible flavour from their popular spicy fried fish and shrimps. If you’re lucky enough to miss the rush, then get a seat outside. Located right on the atmospheric Jumeriah Fishing Harbour, this casual spot boasts great views too. You won’t even miss the alcohol. This award winning eatery in Al Karama offers some of the best south Indian cuisine in Dubai. There’s a varied menu including substantial seafood and vegetarian dishes, so don’t be afraid to ask for recommendations. As well as being budget friendly, the food portions are plentiful and the staff are welcoming. 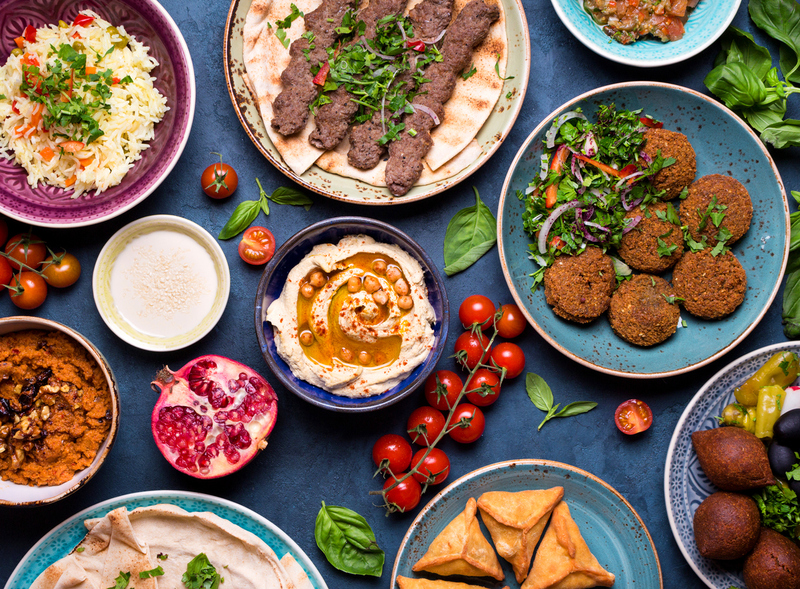 With three locations in Dubai including Downtown, Jumeriah Beach and Dubai Marina, it’s safe to say that this relaxed and modern Middle Eastern chain is a landmark. Reem Al Bawadi earned the What’s On Dubai Awards in the Affordable Dining category for two consecutive years in 2014/2015. Food is centred on Levant culture (meze), so order lots of dishes to share such as Labneh, Moussaka and Chicken Liver. Delve into a world of anime, manga and incredible sushi at this Japanese restaurant in the Beach Park Plaza Centre! Manga Sushi’s contemporary monochrome interior and unique artwork is unlike anywhere else in Dubai. Skilled chefs create delicate masterpieces including various Nigiri, Sashimi and Sushi Platters. There’s also a Sushi Bar so you can watch the action unfold. Their sister branch is in Dubai Mall. Get lost in the views at Pier 7 when dining at this beautiful Lebanese restaurant. Located on the fifth floor, the sweeping views over Dubai Marina are picture perfect so try and book in advance to reserve a table outside. Food here at Abd El Wahab The Fisherman is typical of Lebanon, but with a modern twist. Try the wide range of seafood on offer including Shrimp Curry, Baby Octopus and Samkeh Beiroutiyye. There’s a lot to be said about Bussola’s authentic Italian cuisine. Offering an incredible backdrop in the Westin Mina Seyahi Beach Resort & Marina, dinner here is worth every penny. The upper deck pizzeria is the ideal place to settle down for traditional stone baked pizza, antipasti and dolci. Downstairs, Bussola offers diners the chance to enjoy a fine dining experience, with a mouthwatering selection of traditional Italian dishes. Plus, there’s a lounge bar for cocktails. This multiple award winning high end steakhouse sits proudly on the 68th floor of the JW Marriott Marquis Hotel. A breathtaking view over Dubai’s skyline is just one of its appeals. The food here is indeed prime, with premium suppliers carefully selected for their artisan produce. Expect signature cuts of USDA Certified Prime fillet steak, USDA Prime Tomahawk Ribeye and Japanese A5 Wagyu Striploin to name a few. Make use of their daily Early Bird offer (three course set menu from 6 – 7pm) and Prime Rib Sunday offer to score a discount. Thiptara meaning “magic at the water” is perfectly suited to this Thai restaurant overlooking The Dubai Fountain and Burj Lake. The atmosphere here is charming; typical dark wood interiors and mood lighting meet floral accents and greenery. With an emphasis on Bangkok style seafood, you will be spoilt for choice with the array of deliciously aromatic curries, noodles and stir fries. This is a restaurant for a celebratory occasion where the service is second to none. Discover modern Indian flavours at this sensational restaurant on the fourth floor of the JW Marriot Marquis Hotel. Michelin starred chef Atul Kochhar presents an exciting and expansive menu of dishes bursting with expertly blending spices. Try his signature recipes including Chana Gosht and Lobster Malai Curry. The multiple award winning restaurant opened in 2012 and has been brining Dubaians and international tourists the finest Indian fare since. A distinctive French dining experience awaits you at STAY by Yannick Alléno – a three-Michelin starred chef. 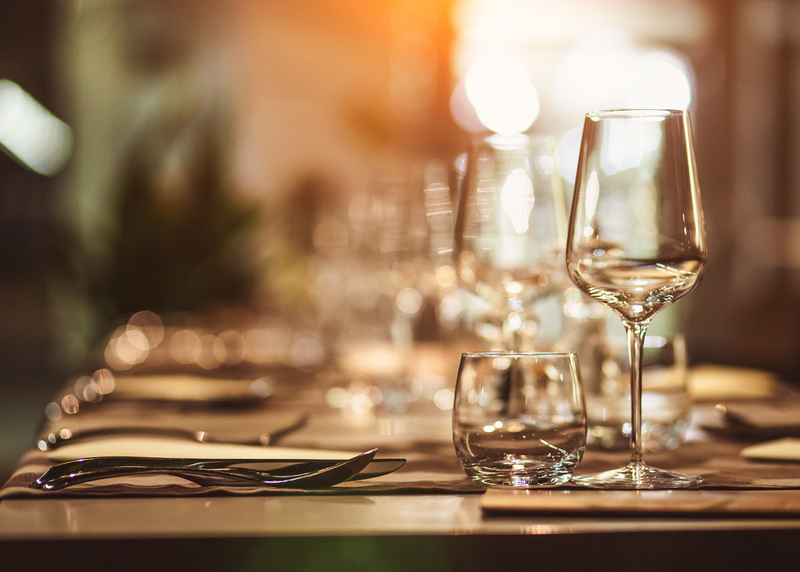 This comfortable and stylish restaurant in the One&Only The Palm boasts vaulted ceilings, plush furnishings and focuses on the culinary journey with tasting menus and sharing tables available. Expect seasonal menus and delicate signature dishes, such as Black Angus beef tenderloin ‘Café de Paris’, pommes frites and black pepper sauce. They also have a pastry library for those with a sweet tooth. Take a culinary adventure through Dubai on your next holiday. Book flights, transfer and hotels with ease on Travel Republic.